The exhibition will present sculptures and drawings, which are based on a mechanism that hampers itself by trying to achieve its original goal. The artists' action creates an intentional sabotage that prevents the objects from realizing their original function and diverts them towards a predetermined failure. The initial expectation is not realized, and it is replaced by a new and unexpected experience. 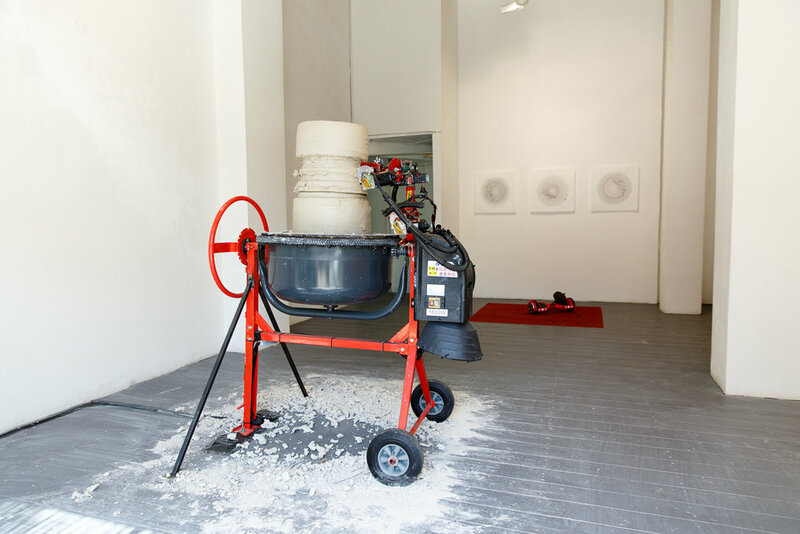 A large, time-dependent, combined work will be installed in the center of the gallery, composed of a hand-held cement mixer that was converted to a potter's wheel. 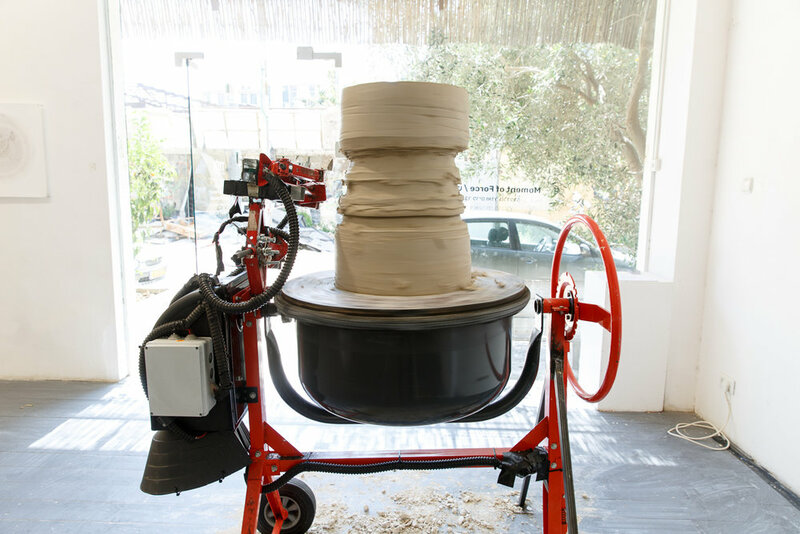 A 150-kilogram mass of clay will rotate on the potter's wheel at a steady pace, while a robotic arm made up of car jacks will slowly sculpt the clay. The excess material will gradually fill the center of the gallery. 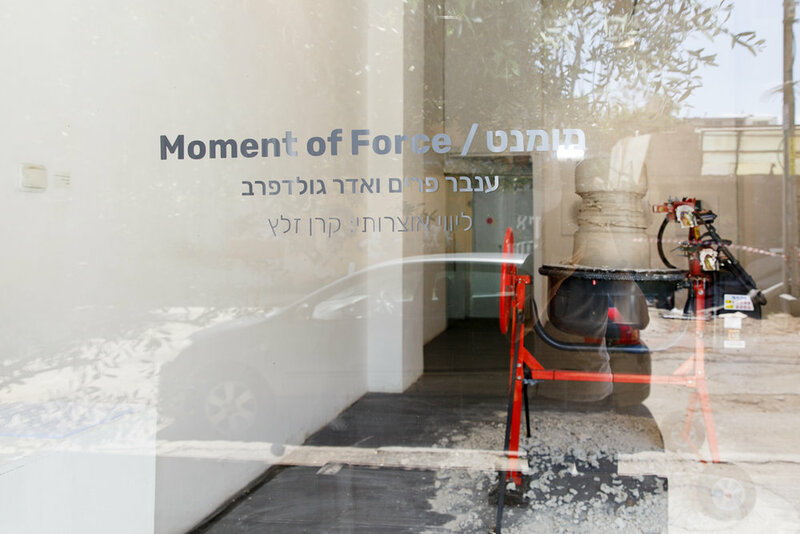 The gradual subtraction of the clay will expand throughout the entire month of the exhibition, during which engineering problems and unpredictable situations may occur, thus, allowing the visitors to observe a failure in the making. It is also possible that the mass of clay will take the form of a vase. 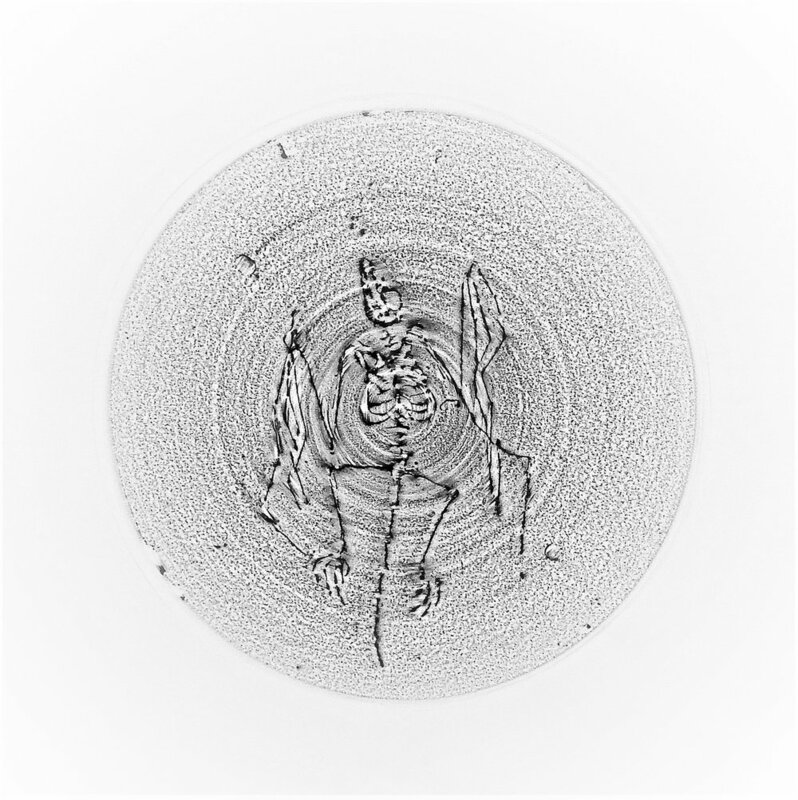 Inbar Frim will exhibit drawings that were produced with the rotation of a potter's wheel. 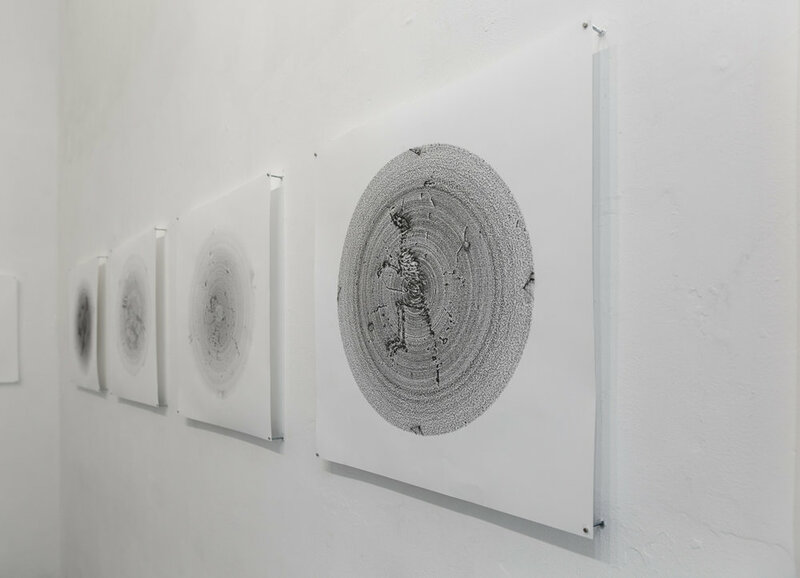 The drawings are a replica (a frottage) of thin ceramic clay sculptures. 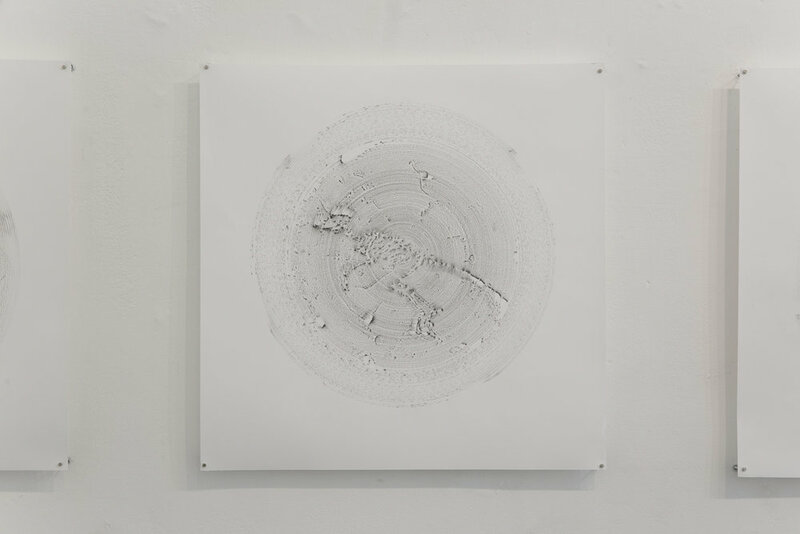 The drawings attempt to capture the silhouette of the images under the paper as the action destroys them. 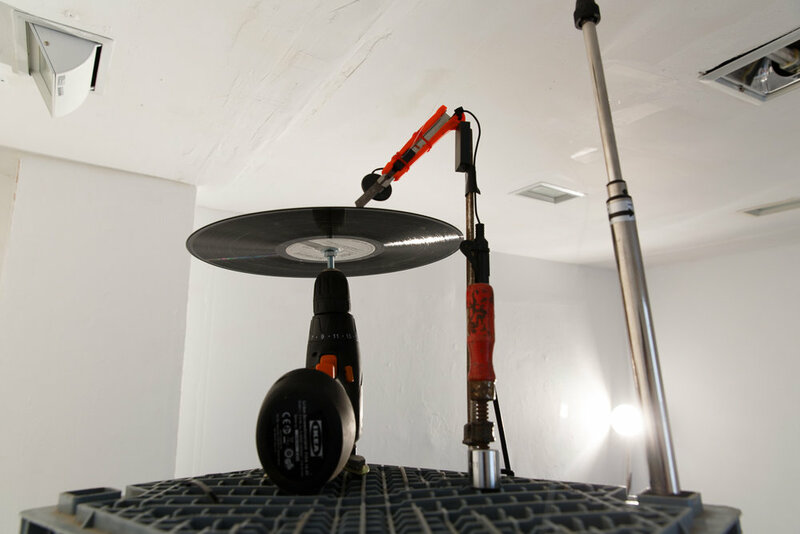 Adar Goldfarb will exhibit a sound-sculpture in which a record is played using a utility knife. 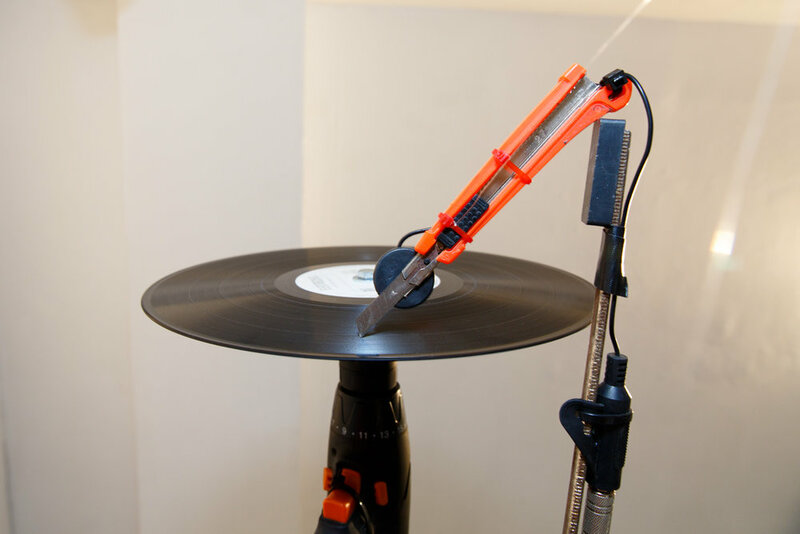 The blade of the knife plays while scratching the record, so that in every cycle, the record continues to erode and perish, and the sound becomes less and less clear. 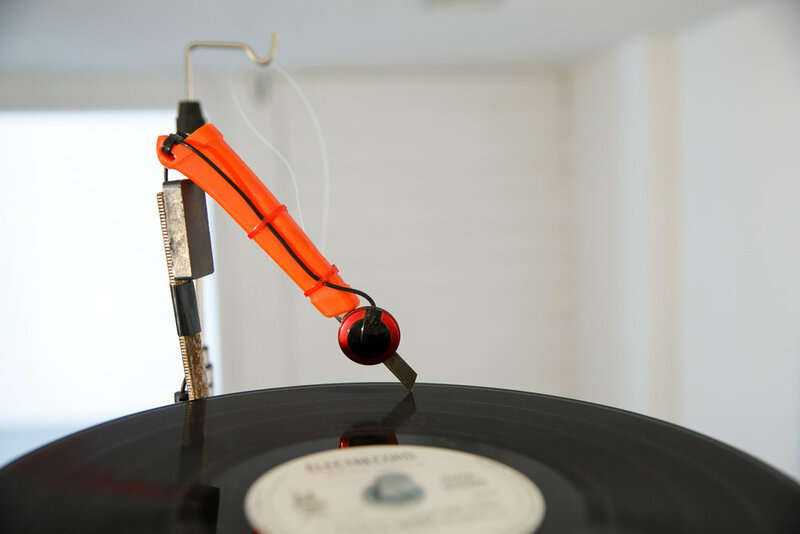 Each additional contact of the knife with the record brings the sound closer to total failure. To a cacophony. Inbar Frim (1981) lives in Ramat Gan and works in Tel Aviv. Graduate of art studies at Ha'Midrasha, Beit Berl College (2008). Member of the "Hanina" Cooperative Gallery. Engages in drawing, sculpture combining porcelain reliefs and ceramic sculpture with various techniques, pottery and installation. Adar Goldfarb (1976) Lives in Givat Ada and works in Binyamina. 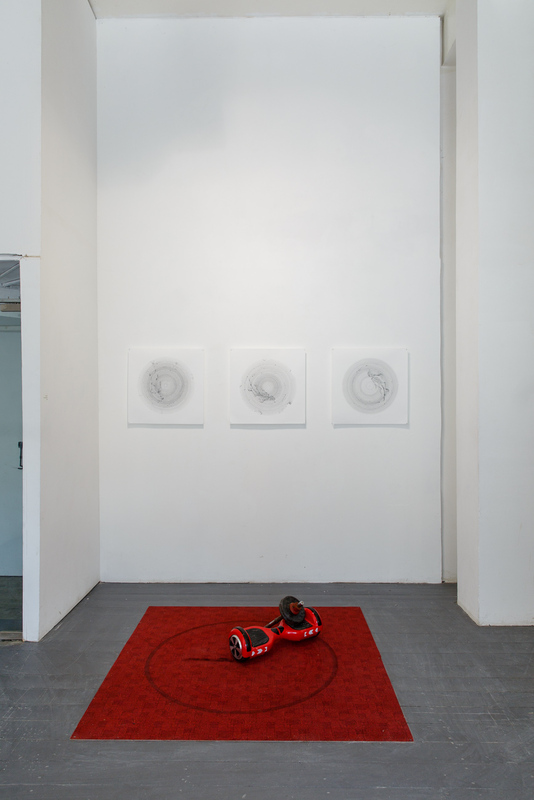 Graduate of the "Graduate Studies Program" from the Ha'Midrasha, Beit Berl College (2014), a member of the "Co-l-a" gallery, Art Helix, New York and the "Living Machines" group. 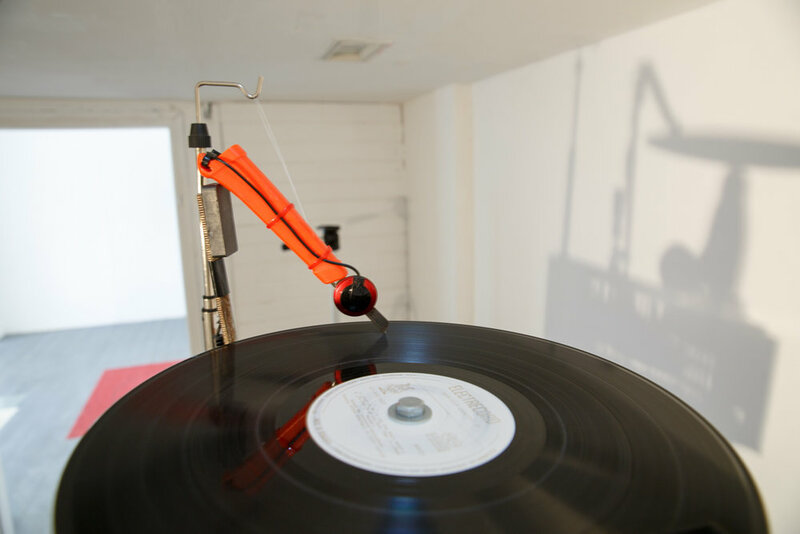 Engages in sculpting, assemblage, and building kinetic time-dependent installations. Artist workshop- on Tuesday, April 3 at 11:00, a workshop led by the artists will take place. The participants will disassemble objects and reassemble them on a flat surface. The resulting object will be used as a base for drawings and prints. The workshop is suitable for all ages. This exhibition will be the third of 2018, which will consist entirely of exhibitions revolving around the theme 'Vision and Failure'. By dealing with the chosen subject, Alfred Gallery seeks to expand the field of meanings that are embedded between the words: vision, success, failure, intent and improvisation, raise questions about the factors that define these concepts, and break up centers of power. 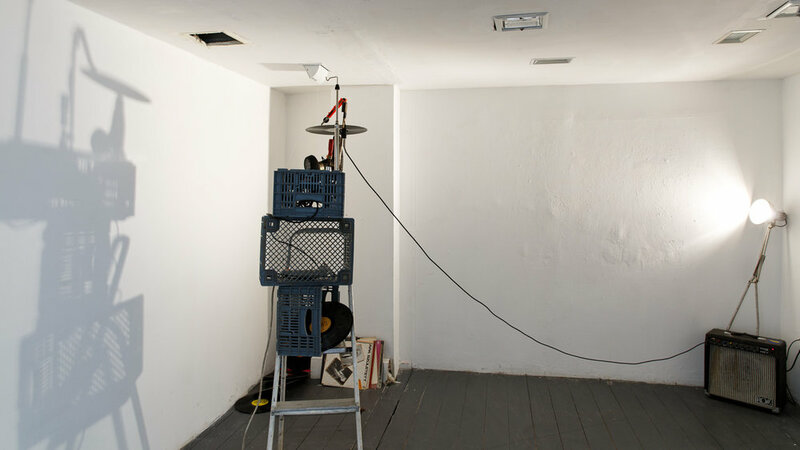 The selected exhibitions will be accompanied by performance events, lectures and screenings, and during the summer, a residency program will take place hosting several artists who will create in the gallery space in cooperation with the gallery visitors. 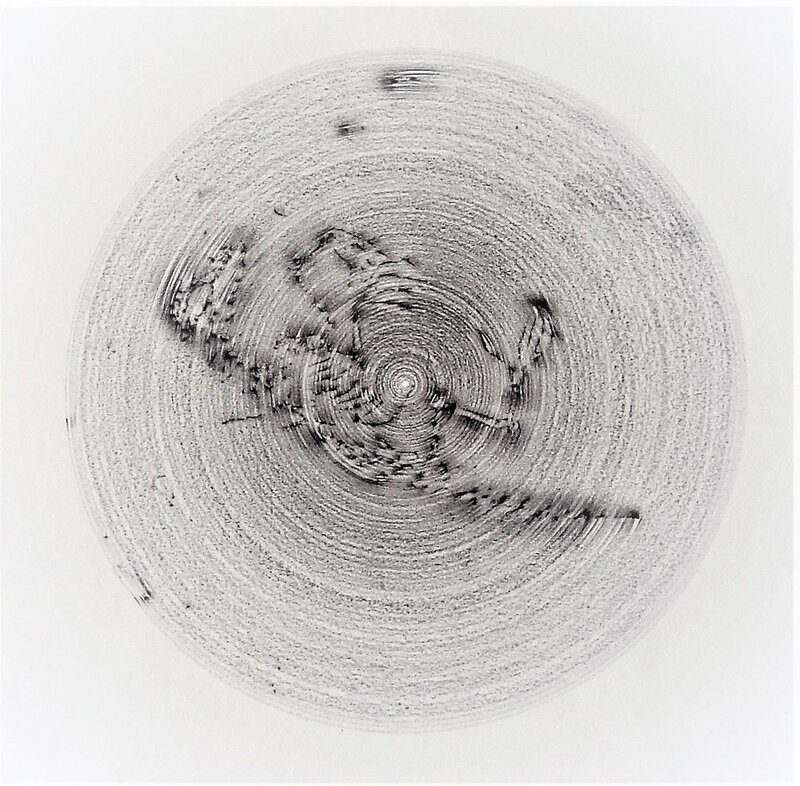 In the series 'Vision and Failure', Alfred Gallery seeks to examine the possible opportunities inherent in failure: experimentalism, fragility, weakness, indecision, confusion. 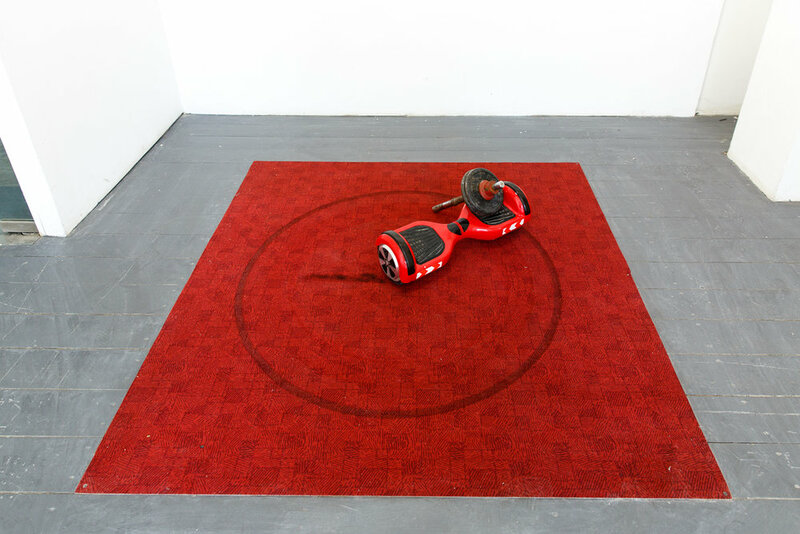 Alfred Gallery seeks to direct the spotlight to daring and risk taking activities inherent in the word failure. This is in order to present additional nuances in the experience of art making and the observing experience.